The Brexit vote in June 2016 by the United Kingdom to leave the European Union succeeded by a very narrow margin, with 51.9 percent of voters in favor. Trump’s presidential victory in 2016 also shocked many people, with him winning 30 states and the electoral vote tally even though 2.8 million more Americans voted for Hilary Clinton. Trump’s crucial voter gains above the performance of 2012 Republican presidential candidate Mitt Romney occurred largely in areas with high levels of neurotic traits, including battleground states such as Pennsylvania, Wisconsin, and Ohio, which shifted from Democratic in 2012 to Republican in 2016. Trump’s populist campaign also was especially successful in former industrial centers that are now in economic decline, including the Rust Belt region across the Midwest and Great Lakes. The researchers examined regions, not individuals, and were studying larger trends relating to psychological traits, not specific diagnoses of mental illness for any voters. The study also excluded Northern Ireland from the Brexit analysis because of the lack of available data. The fears and worries of voters with neurotic personality traits should be taken seriously, and facts should be provided during political campaigns to allay those fears, Obschonka said. Education also could be a buffer against fearmongering populist political campaigns because regions with higher rates of college graduates had much lower levels of neuroticism, he said. Media may contact press@spsp.org for a copy of the study. 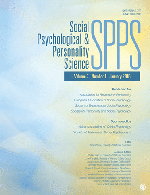 Social Psychological and Personality Science (SPPS) is an official journal of the Society for Personality and Social Psychology (SPSP), the Association for Research in Personality (ARP), the European Association of Social Psychology (EASP), and the Society for Experimental Social Psychology (SESP). Social Psychological and Personality Science publishes innovative and rigorous short reports of empirical research on the latest advances in personality and social psychology.